Makansutra gives this stall 6/6 chopsticks. Green Book awards it a certificate too. 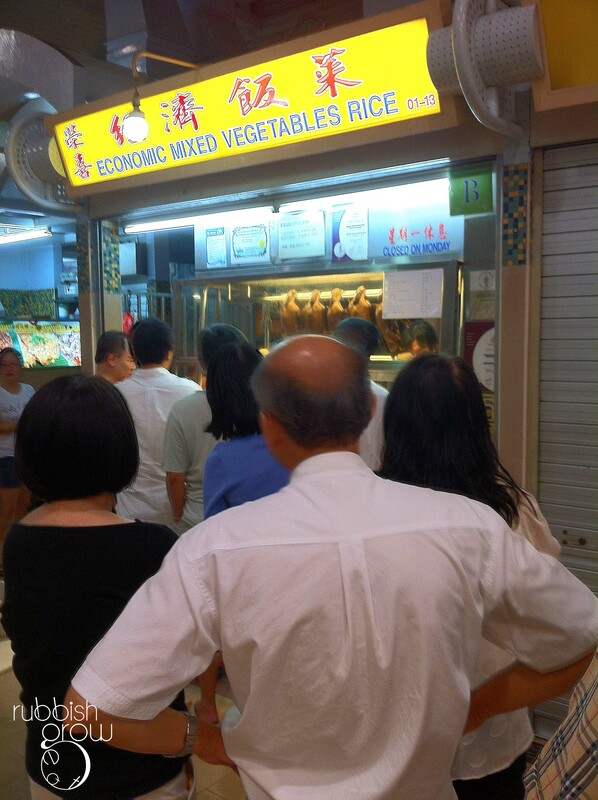 And the queue was long, very long even on a weekend night at 8.30pm, way past many people’s dinner time. Most of the shops were closed except for this one. This stall dominates the hawker center like a giant. There is a choice of teochew porridge or rice and my date and I picked the porridge, which seems to be a favorite among patrons. There weren’t many choices left and we made do with mui cai (salted vegetable), sambal kangkong, highly recommended stewed duck and braised tau pok, costing around $10++. We didn’t try the recommended steamed fish, fried cabbage and minced pork because they were sold out. Perhaps we didn’t pick the right dishes and we went at the wrong time. The dishes were all unhealthily cold and normal, not worth the time to queue. Only the stewed duck (also cold) was savory but meat was tough. We both couldn’t understand the appeal of this stall. To us, this is below-average. We won’t return for sure. This stall is my family’s all time favourite but been reading lots of bad reviews on them recently…lol! Usually we go at 7pm and our favourite dishes are the steam fish, duck, minced pork and most of the stir fry vegetables are not bad too, very homely style. ah, i guess maybe we went too late that the food was cold. 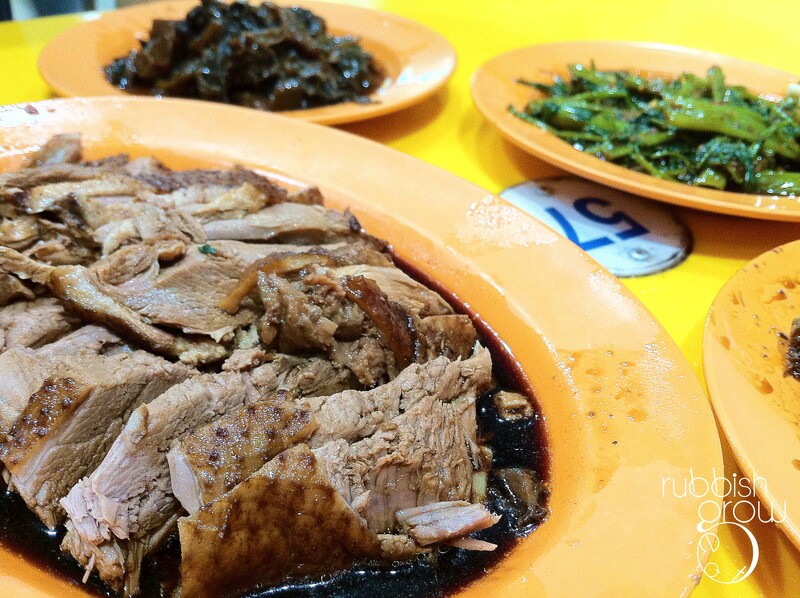 I was surprised you did a review on hawker centre food (cos most of your other reviews are on restaurants). Good job. I tried this stall before, wasn’t as fantastic as what makansutra claims.